This is just an experimental picture page. The pictures are not sorted!!! 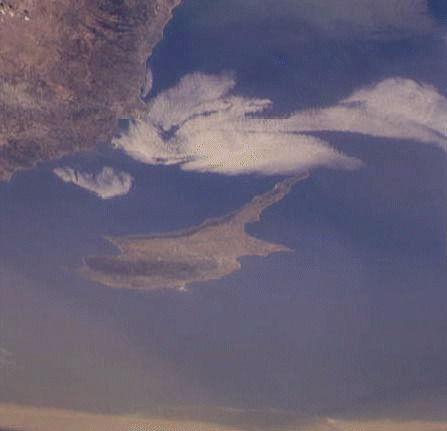 Cyprus from a satellite (a picture taken by NASA). Marble statue representing Aphrodite of the 1st century b.c. 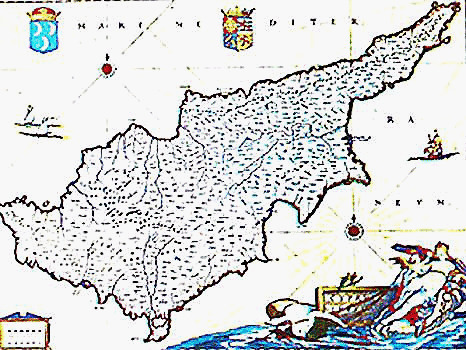 An old map of Cyprus. Limassol, the most important tourist and commercial centre of Cyprus, today lies between two ancient city kingdoms, Kourion on the west and Amathus on the east, and an hour's drive from the other regions (Paphos, Larnaca, Nicosia, Troodos). 14km west of Limassol on the road to Paphos. A fine example of military architecture originally constructed in the 13th century. APHRODITE, the Goddess of LOVE. The Great Goddess of Cyprus may still be present all over "the Sweet Land of Cyprus" where love so easily springs up among the beauty of the landscape, the mildness of the climate and the charm of its people. 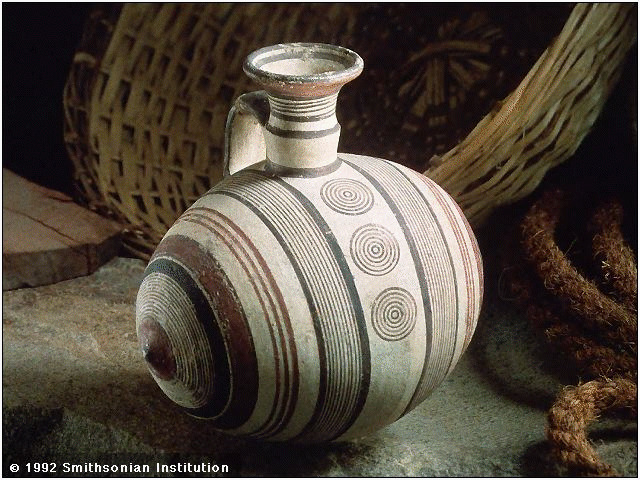 A Barrel-shaped ceramic jug from Cyprus, Idalion, ca. 1050-725 B.C., with painted, circular designs, red, black, cream, one handle and central orifice. Ceramic objects such as this were traded extensively in the Mediterranean region. From the Western Civilization exhibit at the Smithsonian's National Museum of Natural History.==Smithsonian photo by Kim Nielson. (c) 1992 Smithsonian Institution. Return to PICTURES FROM CYPRUS PAGE.